A FORMER Top Gear mechanic who helped father and son tax cheats escape from the UK has been jailed for 15 months. Stephen Howard, of Crafts End, Chilton, assisted Jamie Colwell and his father Brian in fleeing to Spain before they could be sentenced for a near-£1m VAT scam, an HM Revenue and Customs (HMRC) investigation found. The pair have since been extradited back to the UK and are currently serving prison sentences totalling almost eight years. Howard bought travel tickets for the pair and hired a van to drive Brian Colwell to a hideout in Spain. During this time, £2,900 was deposited in Howard’s bank account. Ticket receipts and a detailed travel itinerary were discovered during a search of Howard’s home. HMRC investigators pieced together the journey Howard helped the Colwells make by examining the receipts, bank statements and evidence from mobile devices. He returned to the UK in the box van on January 14, 2018. On January 19, the Colwells failed to show in court and on January 22 they were sentenced in their absence. Howard said he had worked for the Colwells in the past but denied knowing anything about their crimes or court appearances. 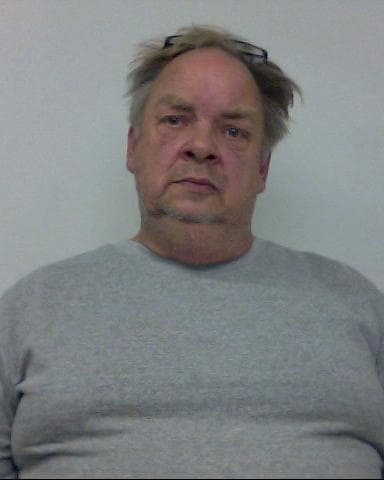 The 60-year-old, who helped to build and modify specialist racing cars on the BBC One show Top Gear, was convicted of perverting the course of justice at Winchester Crown Court on March 14. He was sentenced today at Salisbury Crown Court. HMRC investigators used evidence from Howard’s phone to track the Colwells to a villa in Benidorm and they were arrested in May 2018. The pair had been convicted of dishonestly claiming £965,897 in VAT repayments after they lied about spending £14 million on building new properties. The money that they dishonestly claimed was spent on luxury purchases, including a speedboat, expensive cars and renting a high-end property in Sandbanks, Dorset. Following their extradition, Jamie Colwell was jailed for five years and three months, while his father Brian was jailed for two years and eight months. Both men were ordered to serve an extra six months for breaching bail.